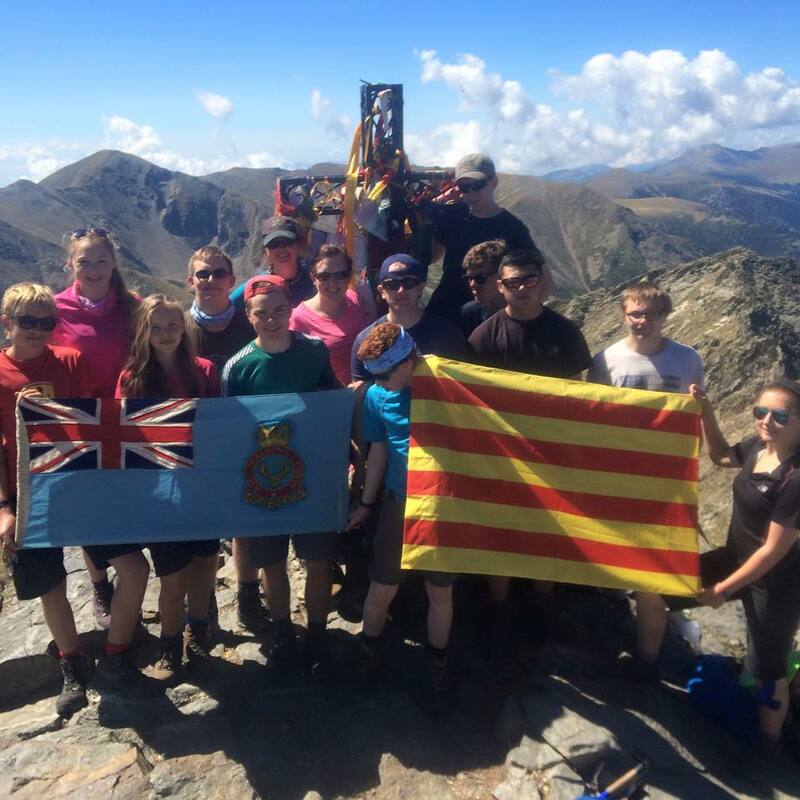 A team of 12 Air Cadets and 3 staff from 234 (City of Durham) Squadron have returned from the challenge of a lifetime, trekking in the French Pyrenees and summiting the mighty Pic du Canigou. It had taken 15 months of planning, fundraising and training, so when the Cadets arrived at the airport, the excitement was palpable. 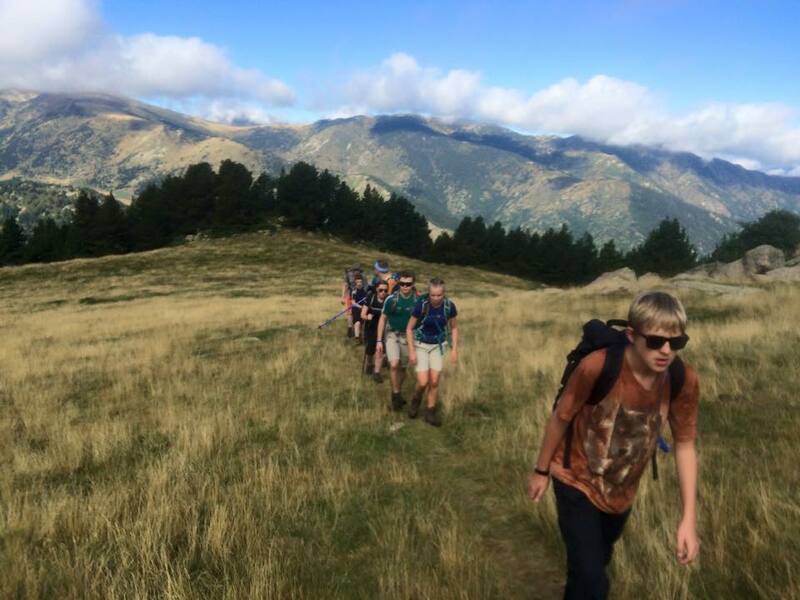 After landing in Barcelona, and driving the 2 hours to their accommodation in Sahorre, southern France, the Cadets settled into the accommodation and started their unpacking. 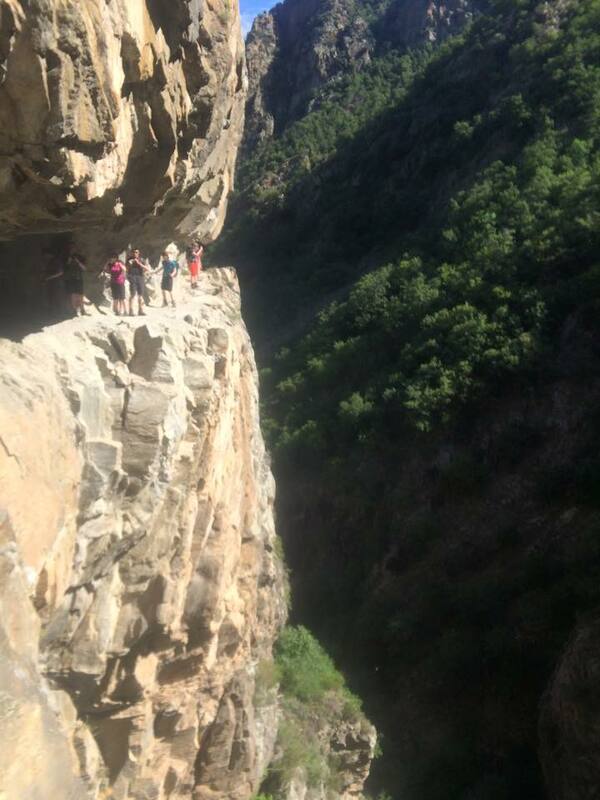 Early the next morning the Cadets set off for ‘Les Gorges De La Caranca’, their first acclimatisation walk. 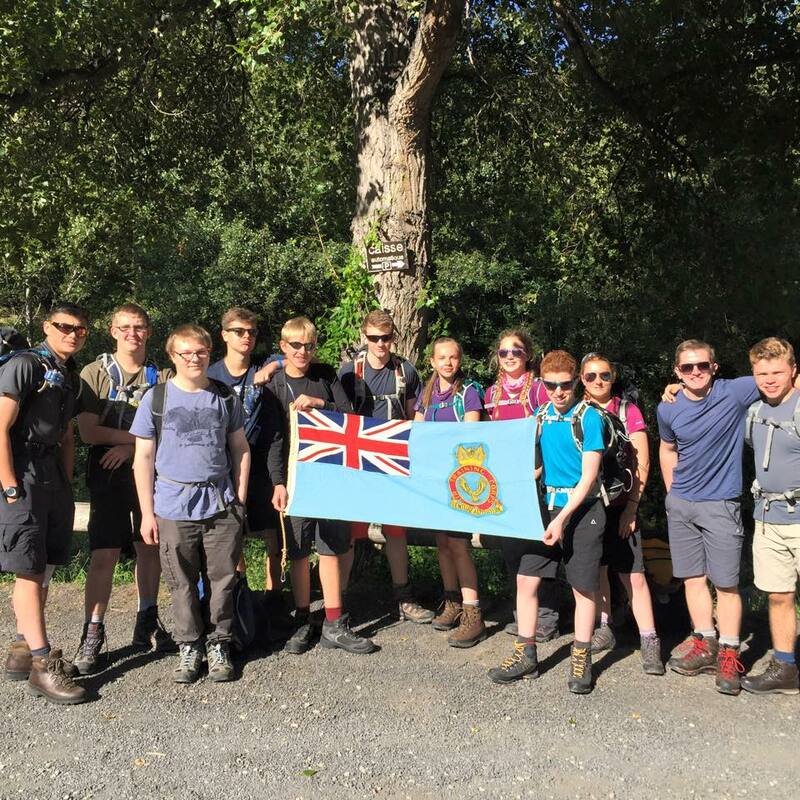 Although the trek started on a simple path along a rocky gorge, the terrain soon became rocky and exposed, and the Cadets made use of the system of metal wires and walkways which kept them attached to the rock face at all times! It was a nerve-wracking experience for some, but the views were amazing and the team worked together to conquer their fears. The visit to the quaint French market in Prades gave the Cadets an opportunity to experience the local culture, and they visited the town of Villefranche de Conflent, with its imposing castle watching over it. Wednesday brought the second acclimatisation walk of the week. The team climbed a 2505m peak called ‘Roc Colom’. The altitude made this walk quite a challenge, although the Cadets soon got accustomed to the feeling, and enjoyed the beautiful scenery. After summiting, it was a calm walk back down the mountain, and the team were all starting to feel more confident about the challenge that was awaiting them the next day. The next morning started with six cadets receiving GCSE results and a celebration of Sgt Hopper’s 17th birthday. Then preparations began for the big challenge ahead. After a short drive along winding roads with huge drops to one side they arrived at the start point ready to climb Pic Du Canigou. The road up to the mountain hut was through the forest and the Cadets walked in single file. The path zig-zigged, slowly getting higher. 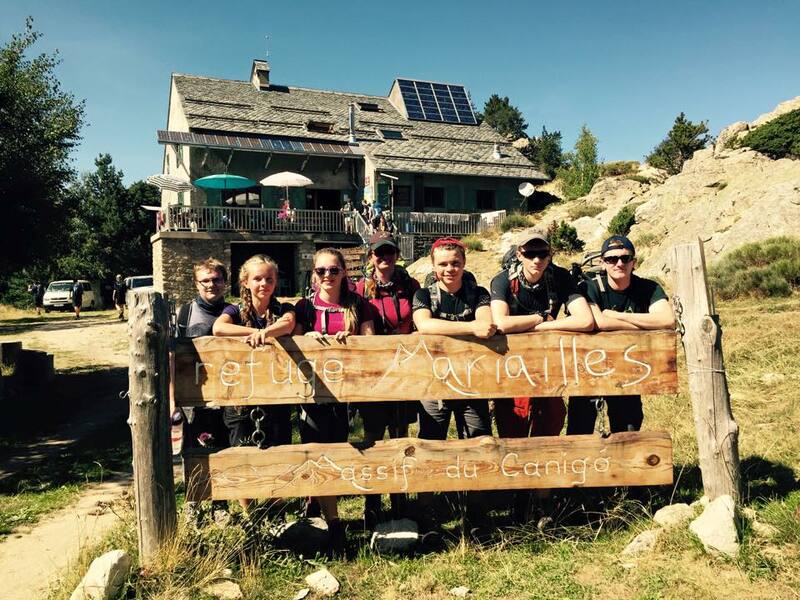 The heat and altitude took their toll, and it was only thanks to teamwork, encouragement and lots of Haribo that the team made it to their home for the night: the picturesque and remote Refuge De Mariailles. The early start on the Friday morning seemed like the hardest task of the week. Walking so early in the morning meant the team started off cold and tired but after a short warm up were all melting in the sun. The sky was clear and the team was optimistic. Saturday was a day for recovery, and the Cadets visited the town of Perpignan before enjoying a final team barbeque. 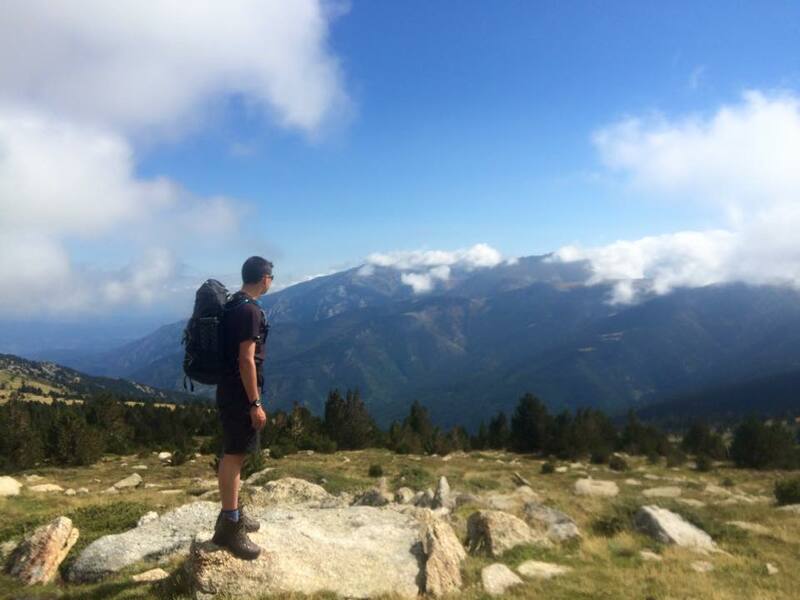 “The Pyrenees expedition was an amazing opportunity with breath-taking experiences including catching falling boulders descending the scramble up the Pic du Canigou! I can now say I’ve climbed the most spectacular mountain in the Pyrenees with the best group of friends I could have asked for. It was mentally as well as physically challenging but a fantastic, once in a lifetime opportunity,” commented Corporal Sarah Rowell, 16. “From the Pyrenees experience I found my strong points and weaknesses,” said Cpl Mole. “I found out I was capable of a lot more than I thought I was. The trip has given us all an experience we won’t forget. Being involved in this experience has shown me that all you need is determination and you can do anything”. Thanks are due to the Ulysses Trust and the RAF Charitable Trust for their support.